Though the Berchtesgadener Land has been associated with salt for centuries, Bad Reichenhall has been a salt production source for millennia! Salt was, and still is, an essential part of our diet and used to be the source of wealth and power. Long ago people also recognized the importance of salt for therapeutic purposes. 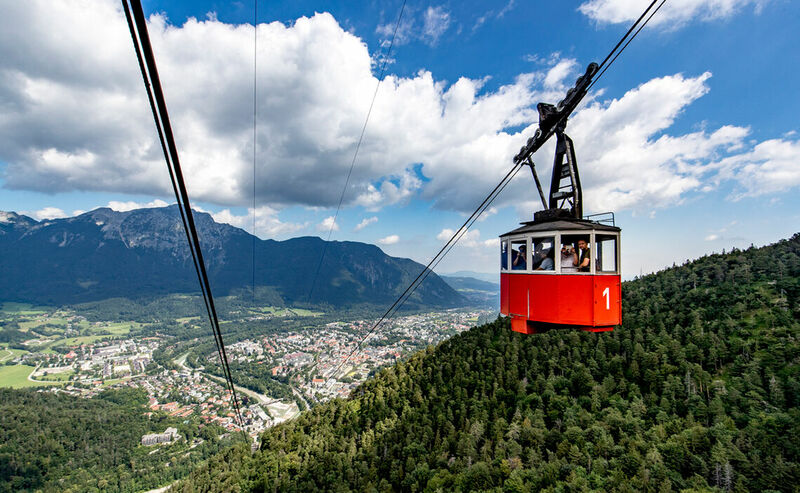 The salt production created jobs for the entire region in the mines, the mountain forests and in the salt evaporation plants in Bad Reichenhall, Berchtesgaden and Marktschellenberg. Still today, you can feel and experience the history of the so-called ‘white gold’ in the Berchtesgadener Land. Let yourself get ‘gold fever’ and follow the tracks of alpine salt! 250 Million Years ago The formation of salt deposits and their subsequent discovery in prehistoric times. 2000 B.C. Thanks to historic tools, the Celts are known to have been ‘professional’ miners. Around the time of the birth of Christ People learned how to extract salt from brine springs. This was the most important innovative breakthrough for Bad Reichenhall. Spring brine was boiled in order to evaporate the water. Previously salt had only been excavated straight from the mines. The Bavarian Duke Theodor donated 20 salt pans in Reichenhall’s saltworks – a third of its brine production – to the Salzburg Church which was led by St Rupert. He also received the salt and customs tithes. 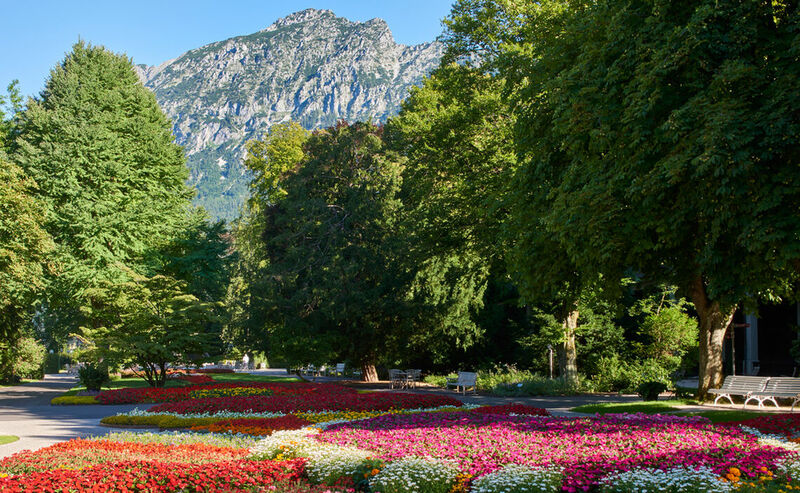 Reichenhall was referred to as ‘Hal’ (Celtic for salt) and ‘Salina’. Around 1070 The development of a Reichenhall county that served solely for the administration of the salt estate. 1150 Completion of the town’s creation. This was one of Germany’s very first towns and was populated by people working in the salt production. Until the 12th century Up into the 12th century, these were the only saltworks in the Eastern Alps and in Central Europe to produce such large quantities of salt. The salt was exported via the Danube River to Bohemia and Hungary. 1315 Bad Reichenhall became the most famous saltworks town in the world. Salt is still produced here, though the saltworks have moved 400 meters from their original location. 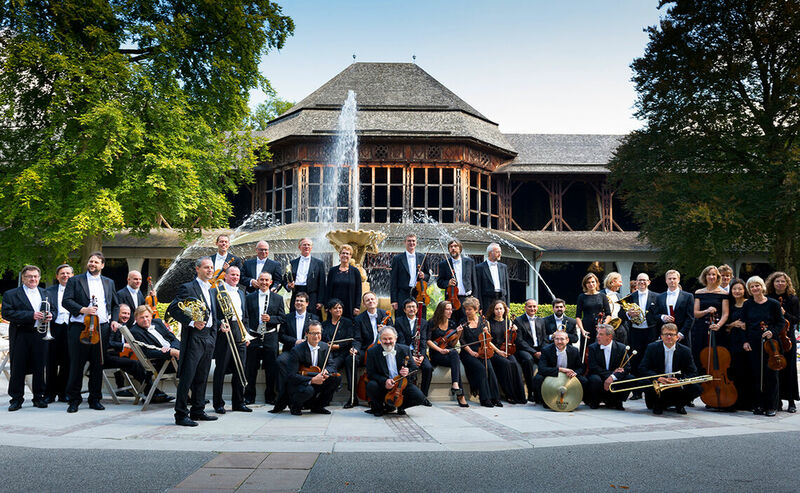 For 700 years a brand name was created here “Bad Reichenhaller Markensalz” – the oldest brand in the world! 1440 Completion of a chain ladling system in the saltworks’ Paternosterwerk spring network – an important step towards mechanization. 1538 Completion of the stream channel to flush freshwater out of the spring system via underground passages all the way to the Staufen Bridge and the Saalach River. This challenging technical achievement was carried out thanks to the masterful plans of Erasmus Grasser. Thanks to a piston pressure pump, differences in elevation were overcome without difficulty. From 1617 to 1619 a brine pipeline was built from Reichenhall to Traunstein thanks to Hans and Simon Reiffenstuel, who used an older brine pipeline from Hallstadt to Ebensee as a model. Due to this new pipeline and the subsequent creation of new saltworks in Traunstein, the main production and economic development shifted to Traunstein. 1745 Building of a brine concentration facility. 1786 For the first time brine baths were made available to the saltworks employees in Bad Kirchberg, a district of Reichenhall. The workers discovered the benefits of these baths and made regular use of them (drawing by Georg v. Liebig). 1809 Georg von Reichenbach built a water column engine to pump brine all way to Rosenheim. This was to replace Reiffenstuel’s piston pressure pump. 1834 After most of the town burned down, King Ludwig I commissioned Johann Daniel Ohlmüller with its reconstruction. The Old Saltworks were constructed at that time and are now considered to be the most beautiful saltworks in the world and a classified industrial monument. Today the complex includes the spring house, a museum and a shop and offers guided tours and brine spring training. 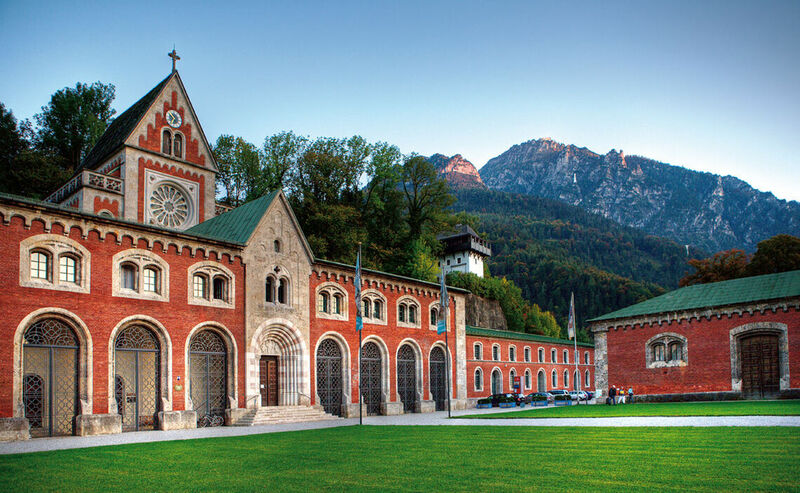 1846 When Ernst Rinck opened the Axelmannstein spa hotel, Reichenhall was established as a Kurbad, a spa town. The idea actually stemmed from his brother-in-law, Wilhelm von Pechmann but Rinck showed determination and made the dream a reality. 1879 Friedrich von Hessing, the father of conservative orthopedics, founded a curative establishment in Bad Reichenhall. 1890 Germany’s first AC electric plant was built in Bad Reichenhall. 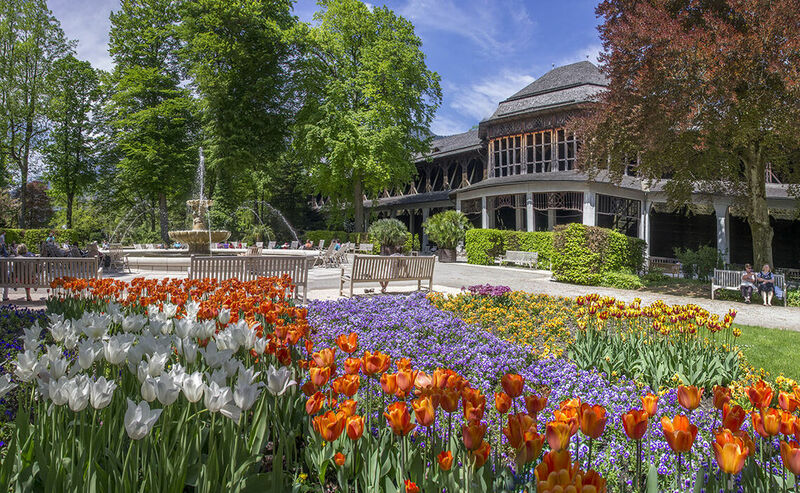 1899 Declared Bayerisches Staatsbad Bad Reichenhall (Bavarian State Spa). 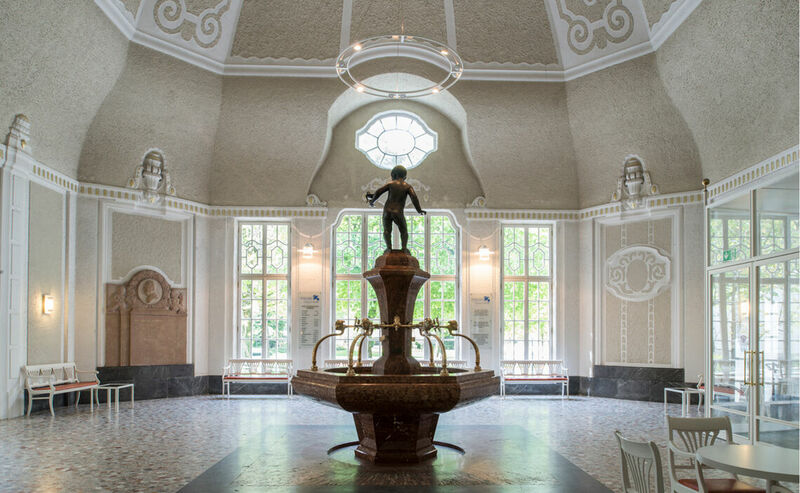 1927 New AlpenSole Fountain (Kaiser Karl AlpenSole Fountain) made of marble in the Lobby. 1953 AlpenSole waterspout fountain in the Royal Spa Garden. 1970 Completion of the Rupertusbad. Open to the public in 1971. 2005 Opening of the RupertusTherme, today a spa and family resort. 2008 Germany’s first AlpenSole Kneipp pool located at the Royal Spa Garden.